I am so in love with this skirt. 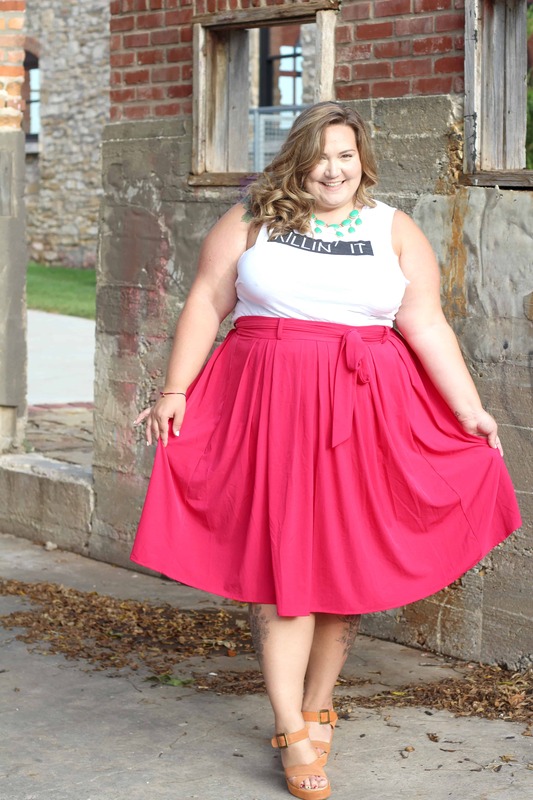 It appears to be a normal a-line plus size skirt, but it is the most comfortable, soft, stretchy fabric ever. Every time I put it on I end up keeping in on the whole day and twirling around and telling everyone around me to “feel this it’s so soft omg!!!!”. And it’s so bright and vibrant! Ok, enough gushing about the skirt. There’s something about wearing a shirt that says “killin’ it” across the front that makes me feel really vulnerable. After my little outfit shoot I had to go to the grocery store. Most days when I go to the grocery store I feel nearly invisible. I wear leggings and a tank top and nobody has any reason to look at me… I blend in. But a 350 pound nearly 6 foot tall (in heels) person in a bright pink skirt doesn’t exactly blend in. So I become hyper aware of the looks I get, and of how I carry myself… and I even get a little self conscious about what food is in my cart. It’s still surprising to me how unsure of myself I can be. When I start feeling like people are judging me, or I let myself get scared or uncertain of myself and my values I try very hard to remember that I am not at fault for those feelings. 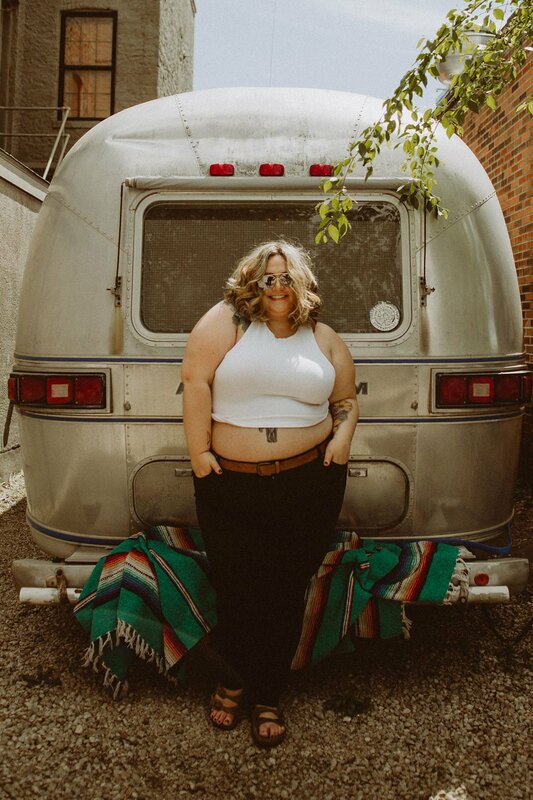 There’s no need to be angry at myself for not being a pillar of body positive strength, when the reality is that my strength is better quanitified by how hard I am working to unlearn body hatred. My shirt is a great practice in facing my existing fears about what people think about me. I take a few deep breaths and remember that I feel absolutely beautiful and the reality is I have no clue what other’s are thinking of me when they look at me. I cannot read minds, nor do I want to, and I have to work with the facts I’m given. And the fact is, I’m killin’ it. You look amazing, that skirt is beautiful… I have one soooo similar in pink and also in aqua… I had my engagement photo shoot recently and wore the aqua one, I had started thinking perhaps it was the wrong choice, perhaps I didnt look as good in the photos as I did in my head… but seeing you, rocking this skirt, you have change my mind completely… you look amazing. 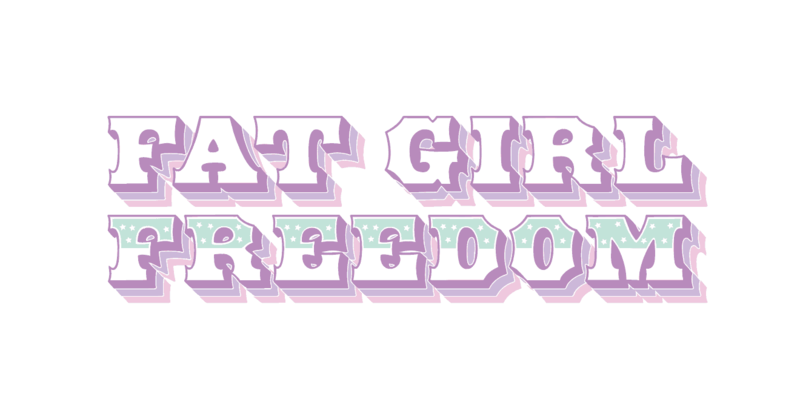 Thank you for helping me feel better about me just by being yourself! Loving that skirt! It looks very flattering on you! I have lots of summer weddings coming up and would love some advice on what other types of shirts you would recommend for it. I really want to purchase the skirt just not sure what tops to pair it with. If you have any advice, I would love to hear back from you! 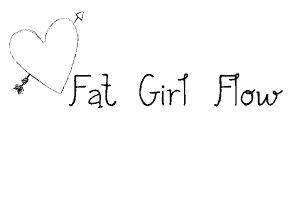 Where can I buy fat girl flow clothing from? Please help.